Cool, color blocked fleece style will add flair to any design. 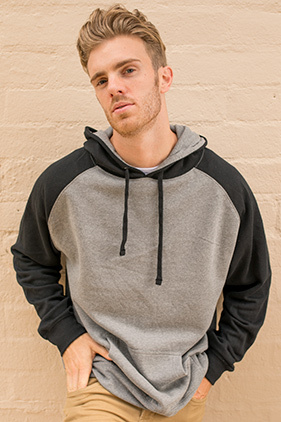 55% cotton/45% polyester 7 ounce raglan lightweight pullover hoodie. Split stitch double-needle sewing throughout. Jersey lined hood with nickel eyelets and flat drawcord. 1x1 ribbing at cuffs and waistband. Twill neck tape. Front pouch pocket.